Richard Edelman’s Linkedin essay posits powerful and accurate views on the rapidly emerging role of the chief communications officer AND her/his PR counselors in this new, dark era of school shootings, a president who changes his mind more often than the wind shifts direction in Chicago and the disturbing rise of fake news or, False News, as we board members of The Institute for Public Relations (IPR) prefer to call it. Peppercomm and the IPR are about to release the results of our third, in-depth series of interviews with 25 Fortune 500 CCOs and a smattering of senior marketing executives who direct crisis response for their organizations. The vast majority have already created, or are in the process of developing brand new “societal” crisis plans that anticipate future events, develop responses pre-approved by the CEO, CHRO and CLO, and scenario plan the expectations and reactions of a public comment from their CEO by everyone from an activist board member and colossal customer to employees and local communities in which the organization maintains a presence. The corporate communications function is uniquely qualified (and prepared) to guide the C-Suite through the uncharted waters of a highly-divisive, and hugely uncertain, global environment. It’s no longer acceptable for CEO’s to mimic an ostrich, listen to a lawyer’s advice or hope that, this, too, shall pass. Just ask Kasper Rorsted, the CEO of Adidas, who badly bungled his responses to Kanye West’s lamentable statements about slavery. I have huge admiration for our peers in digital, data analytics, advertising and other marketing disciples but we, in PR, have ALWAYS fulfilled the role of the corporation’s conscience. And, the need for smart, carefully-crafted, ethically and morally responsible commentary has never been more important. No offense intended, but marketing types simply don’t possess the DNA to lead the charge. 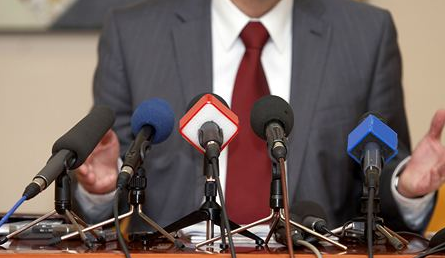 It’s a great time to be a strategic PR counselor. And, here’s my version of a Richard Edelman plug: Keep your eyes peeled for sneak previews of our CCO research in the days to come. This entry was posted in Business, Current Affairs, Leadership, Marketing, Peppercom, Public Relations, Reputation Management by Steve Cody. Bookmark the permalink.